When you have two little ones under the age of 4 your house never stops. No matter what we are trying to get done, the kids are always in the middle of it, even if one adult solely concentrates on them and the other is trying to get something done. 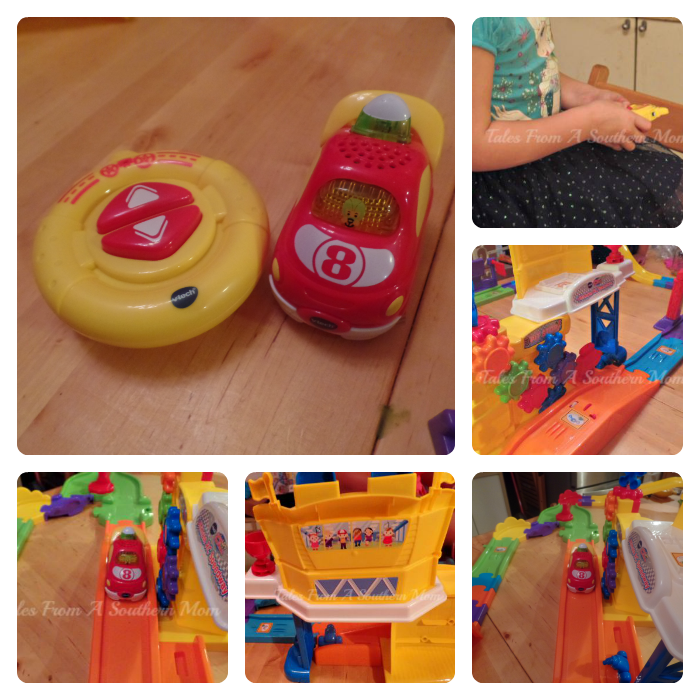 This was all true around here until we got this great VTech Go Go Smart Wheels RC Speedway that VTech sent us to review! This toy keeps these guys occupied and completely entertained! Something about wheels and kids that just seem to always mean a good time. This toy is so neat and never stops moving which keeps the kids totally enthralled in all that is going on. David and Destini thought it was the neatest thing to make the cars go with the remote. Configuring the track any way you want is easy to do and they love the elevator, pit stop and stunt ramp that is included. Seeing how it all worked was really cool. You can even hook this set up with other Go Go Smart Wheels sets that can bring the toys to a whole new level. David does not quite get that the whole thing is controlled by moving the buttons on the remote control, but he sure gets that those cars go around and around. Laughter is the true test of a toy and this Go Go Smart Wheels ultimate RC Speedway had them laughing for quite some time, they were truly having a wonderful time playing with this. Christmas is coming soon and I think another set that hooks to this will be an awesome gift for the two of them. Overall, I was thankful for some well deserved time without kids on my toes and following me around, and the adults were having just as much fun if not more playing with this remote control track! 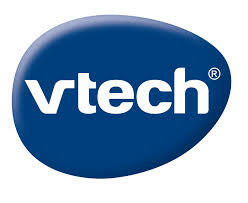 You can check out the whole line here at VTech!